The second leg of the 2018 Guangdong–Hong Kong Cup took place on the 7th January in Guangdong Province of China. Hong Kong took a healthy two goal lead in to the second leg after winning 2-0 in Hong Kong a few days previously. The first leg had been a tight affair till the end but for the fans at the Guangzhou Public Stadium (of which around a 100 where from Hong Kong) it looked like there would only be one winner. As Guangdong looked to take full control of the match as they went about breaking down that 2 goal deficit. However it did look like Hong Kong would hold out till at least half time but just before the break Lu Lin was brought down in the box and then slotted home the resulting penalty. Lu Lin who plays for his home down side in the Chinese Super League Guangzhou R&F. The second half continued in the same form as the first and then as expected Guangdong doubled their lead in the 70th minute this time with the goal coming from Liang Xueming of Guizhou Hengfeng as he lashed on to some poor Hong Kong defending from a cross. 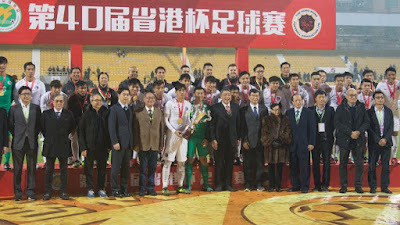 The scoring stopped there despite Guangdong best attempts they could not get a third as the tie went in to extra time. Both teams had chances in extra time with Guangdong going closest with a header from Xiao Zhi also of Guangzhou R&F. 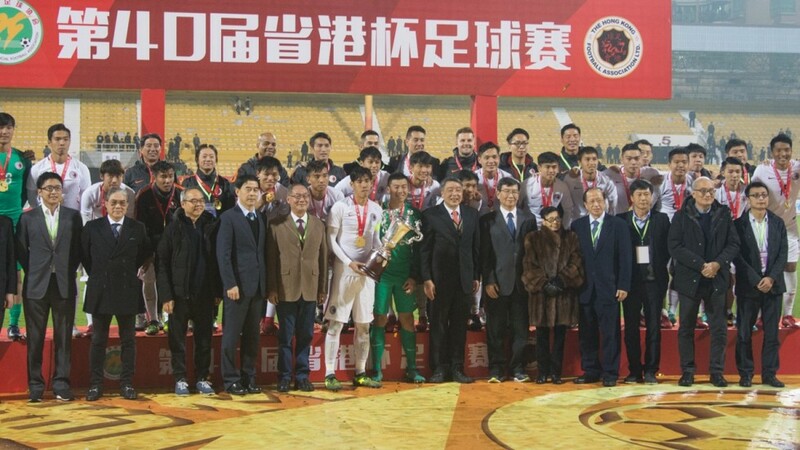 The tie however had to be settled on penalties and having not had many chances in open play Hong Kong where clinical in the penalty shoot out and run out 4-2 winners to retain the Guangdong–Hong Kong Cup on it's 40th anniversary.